The season six finale of “Game of Thrones” had a ton of big moments that fans have been waiting years to see: Arya slit Walder Frey’s throat, Cersei finally got revenge on the High Sparrow and the Tyrells, and Jon Snow was revealed to be part Targaryen. “The Winds of Winter” might have been exciting, but it also lacked any of the major twists that “Game of Thrones” is known for, like the shocking death of Jon Snow that closed season five. I watched the episode with a large group of friends. 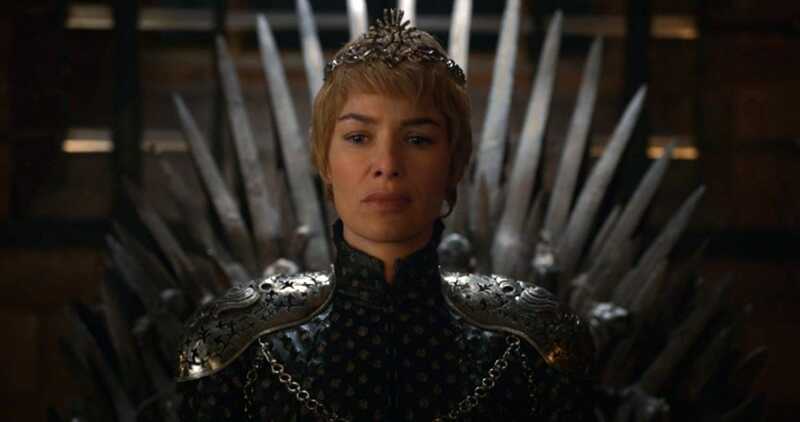 In our discussion after the show, one friend argued that Cersei, not Daenerys, might end up being the “fire” in the Song of Ice and Fire. Her reasoning? That having Daenerys be the “fire” would be too obvious. We’ve all expected Daenerys to fly to the wall and fight the White Walkers, so maybe the show would throw a big twist in there, as it has done so many times before. I can understand my friend’s logic. After all, Cersei has wildfire — and she clearly knows how to use it. Maybe Cersei actually defeats Daenerys and goes on to fight Jon and/or the White Walkers. After the deaths of Ned, Robb, House Tyrell and all the Lannister children, would such a twist really be out of the ordinary for the show? Yes it would. It would be really stupid too. It’s time for “Game of Thrones” fans to admit it: The show is going to be pretty predictable from here on, and that’s ok. When Ned and Robb Stark died, it may have been shocking, but it was also thematically relevant. Ned died because his old-fashioned honour had no place in the cutthroat game that Littlefinger and Cersei were playing. Robb died because he betrayed an oath for love, which is political suicide in the show’s world. Their deaths may have been shocking, but they made sense. The reason no one believed Jon was really dead at the end of season five is that it didn’t make thematic sense, nor did it serve to teach any other characters a lesson. At this point in the show’s run, a large twist like, say, Daenarys falling off her dragon and drowning on her way to King’s Landing would certainly be shocking, but it would also be completely pointless. Does this mean that “Game of Thrones” has basically become a fan service delivery system? 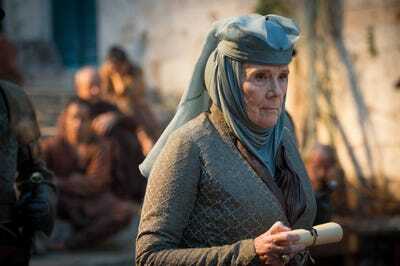 (Hi there, Lady Olenna shooshing the Sand Snakes!) In a sense, yes, but it’s also the result of good storytelling. One of the reasons I stopped watching “The Walking Dead” midway through season four is that I couldn’t stand how the characters kept acting irrationally simply to move the plot forward. With a few exceptions (Sansa, why didn’t you tell Jon about the Knights of the Vale??) “Game of Thrones” hasn’t sacrificed its characters’ integrity in the service of story. There’s a storytelling concept known as Chekov’s Gun, which essentially states that if a gun is introduced in the beginning of a story, it needs to be fired by the end of it. What we’re beginning to see is the show firing all the guns it has introduced over the past six seasons. 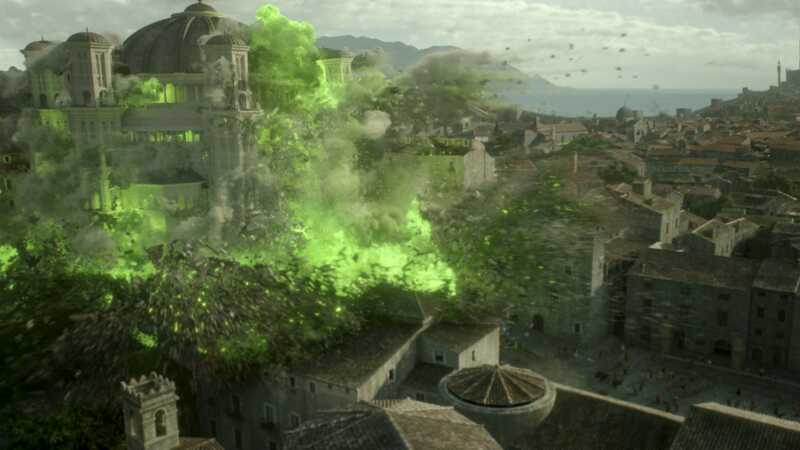 Think of them as Chekov’s dragons: Daenarys is finally sailing to King’s Landing. Jon and his bannermen will face the White Walkers. Cersei has the power she’s always coveted. Littlefinger is … well, he’s still scheming and being creepy. “Game of Thrones” may have built a reputation for subverting expectations, but it’s always done so in service of the greater story arc. Cersei won’t be the “fire” in the Song of Ice and Fire because it doesn’t work thematically. 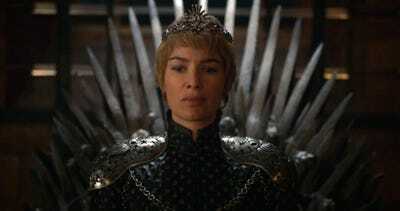 Cersei represents the “game” — the Machiavellian power struggle amongst the great houses for the Iron Throne. As the real battle between the living and the dead begins to unfold, Cersei will find herself as outdated and irrelevant as poor old Eddard Stark. And we all know how that turned out. The fact is, “Game of Thrones” simply may not have anything left to subvert. I have no doubt more major characters will die in the final two seasons, but their deaths probably won’t be very surprising. So instead of trying to guess the next big Red Wedding-like twist, let’s all just sit back and enjoy the ice and fire.